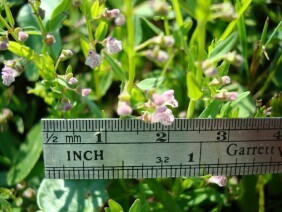 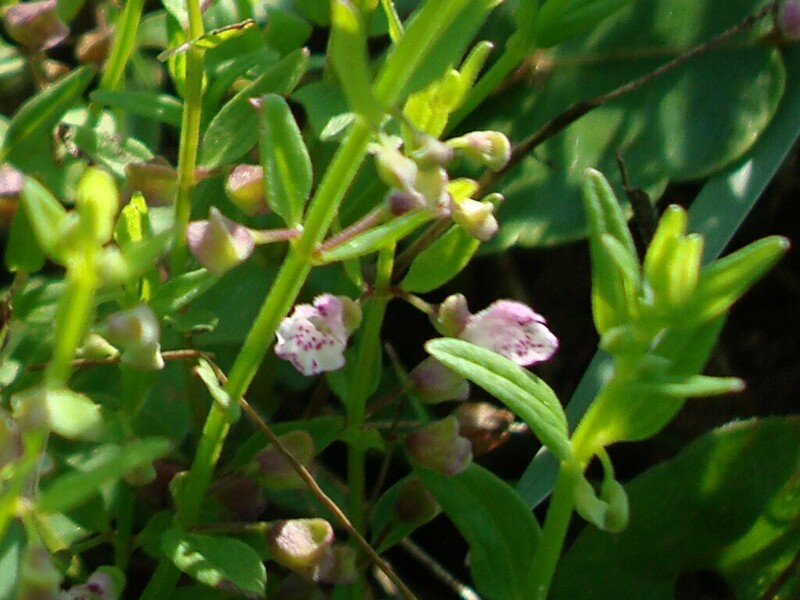 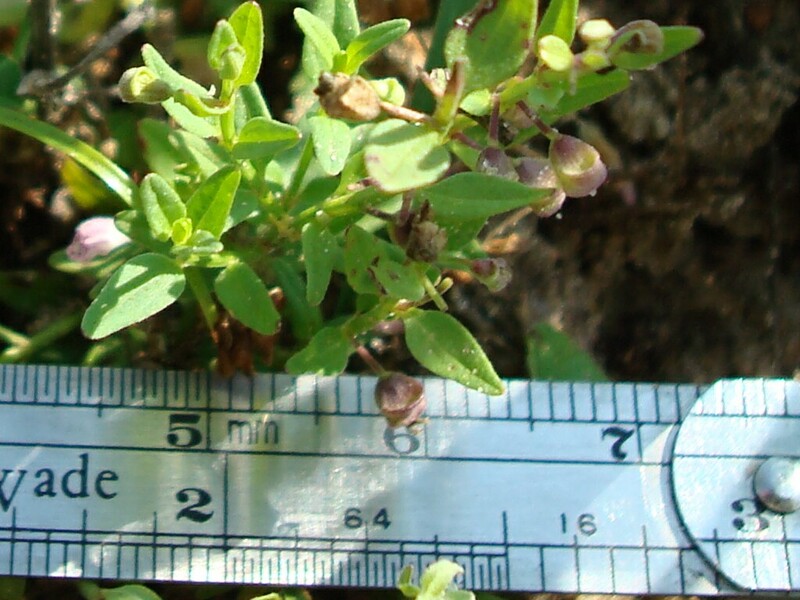 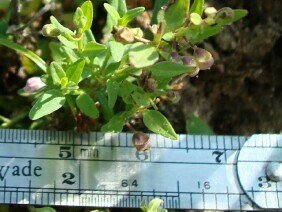 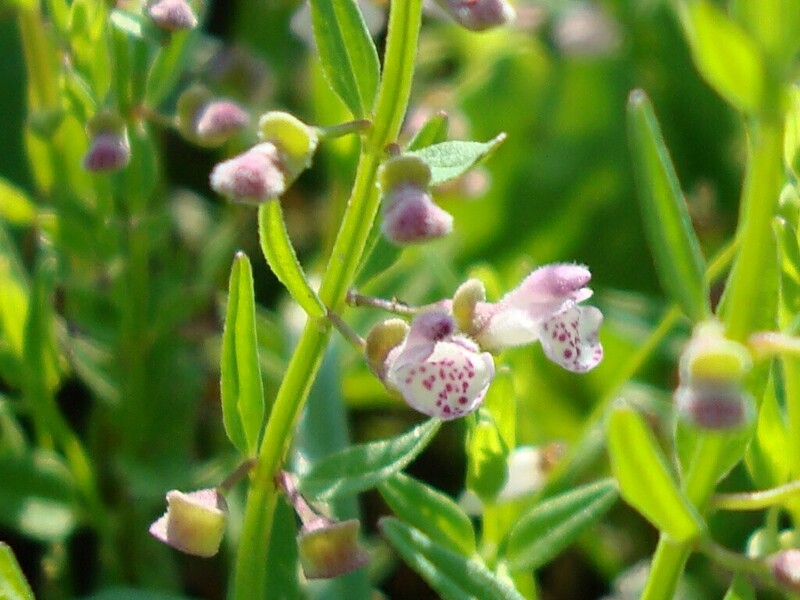 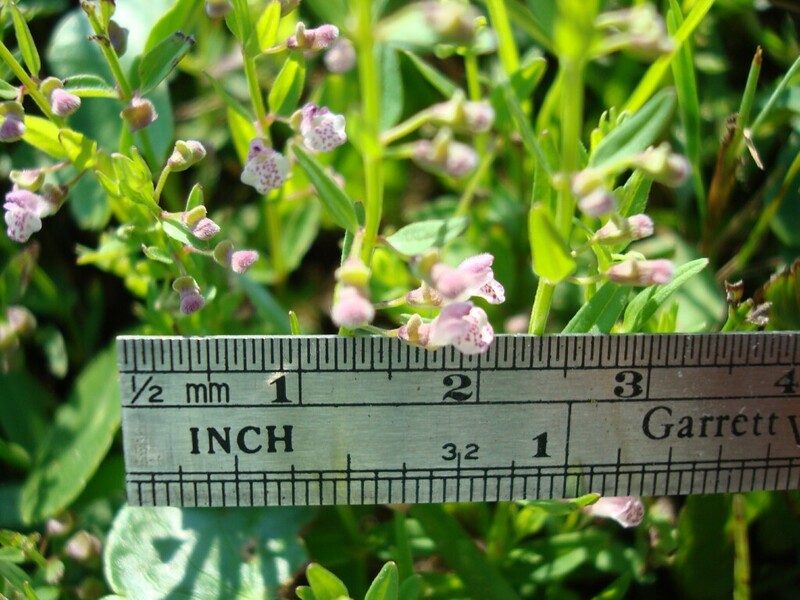 South American Skullcap is a small plant with tiny flowers. 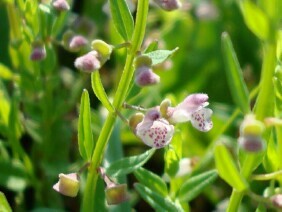 It is a member of the mint family, and it has a distinct smell when crushed. These plants were photographed at the Brookley Complex, South of downtown Mobile, in mid May.